Solo: A Star Wars Story is a 2018 American space Western film based on the Star Wars character Han Solo. Directed by Ron Howard and starring Alden Ehrenreich, Emilia Clark, Donald Glover and Woody Harrelson, this film takes place before the events of A New Hope. In Solo, we see Han back in his smuggler days, where he escapes that lifestyle. It is his goal in life to become a pilot, buy a spaceship and fly back to get his girlfriend. This has been a rollercoaster of a ride to have this film finally released. Back in June 2017, creative differences lead to the original directors Lord and Miller left the project. When Howard stepped in as the new director, this lead to many reshoots, and certain actors being unable to return to their roles. There was also the obstacles when it came to promoting this film. It is clear that people are getting tired of the amount of Star Wars films being released close together. The trailers were receiving bad reactions, and even then the film has been getting mixed reviews. This made me nervous, and I was left thinking that I would be disappointed in Solo. I am glad to report however that this isn't the case. I think the low expectations worked in its favour, as I really did enjoy myself with this film. Is it the best Star Wars film? Definitely not. Does it have flaws? Yes, it does. It is still a fun experience and good film? Yes, I definitely think it is. Let's start with our characters. It would be hard for anyone to match the way Harrison Ford played Solo, however Ehrenreich does a fantastic job here. I was nervous for him in the trailers, as they showed little dialogue from him. However, he eases into the film well and comes into his own near the end of the film. His chemistry with Chewbacca, and the way that they originally meet, is also a fantastic sequence which is touching to watch. All of the new characters are well written, and seem to fit well into the Star Wars universe. I am a huge fan of Donald Glover, both in acting and music. His role of Lando is fantastically smooth, and I am just convinced that Glover can play any role that he is handed. Clark and Harrelson are also fantastic, and the chemistry between all of the team balances well. The story is a little bit messy at times. There are a lot of situations and locations in this film, and with that the pacing can be a bit off. I wanted to get a little bit more at the beginning, as we only get a glimpse of Solo's original lifestyle. There are also some scenes that seem to drag on, and I feel that overall the film could do with being 10-15 minutes shorter. This film has a lot of plot points and twists that you do not expect. I haven't seen the prequels of the Star Wars franchise, so I didn't get some of the shocks that came along. My boyfriend, who has seen all of the films, was majorly shocked and really enjoyed the twists that this film has to offer. That is why it is kind of important that you watch the other films in the franchise. Whilst I still enjoyed the film, I feel like I would have enjoyed it more if I had seen the other films. Because of the box office failure of this film, the Star Wars franchise has been left hanging. People are discussing what the next move will be from Kathleen Kennedy and Disney Studios. Whilst I personally enjoy these spin-off films, I feel there should be more of a focus on the main story. The new spin-offs announced so far is Boba Fett, but there are also rumours of an Obi-Wan Kenobi spin-off. I feel like the Obi-Wan spin-off is the only one that people are now asking for, but we have to see what the next move is. 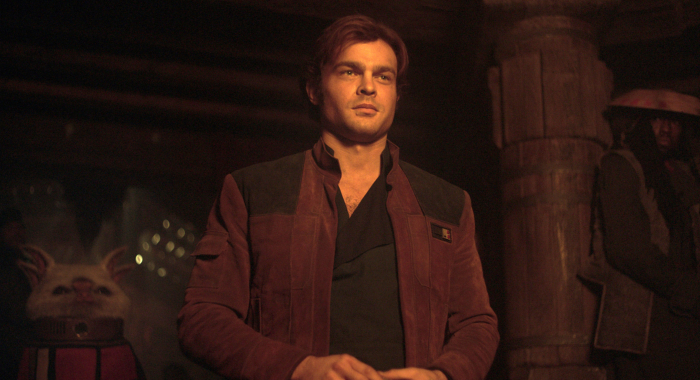 Regardless of what is next to come, I really enjoyed what Solo: A Star Wars Story had to offer. This is a fun blockbuster that is stylish and reflective of the Star Wars franchise. Whilst there still are flaws and pacing errors in this film, I recommend people going in to see this film and getting rid of the bad impressions that the trailers and reshoot situation created. Have you seen Solo: A Star Wars Story yet? Did you enjoy it as much as I did, or are you sick of the new Star Wars era? Let me know in the comments below.